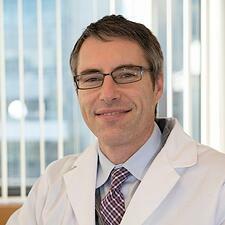 Dr. Green completed his medical degree at the University of California, San Diego, and internal medicine residency at the New York Presbyterian Hospital - Cornell, where he later served as Associate Director of the primary care medicine residency program. He was a National Health Service Corps fellow in a community health center in Queens, New York, and co-developed a highly acclaimed curriculum on cross-cultural healthcare. He received an MPH from the Harvard School of Public Health and completed a research fellowship at Beth Israel Deaconess Medical Center and Harvard Medical School. "This is our passion and life’s work. We believe that, no matter who you are, your healthcare experience should be exactly what you need it to be." Dr. Green has published widely in the area of racial/ethnic disparities in healthcare and cultural competence. He was an expert panelist for the Joint Commission's Hospitals, Language, and Culture project and he helped create a widely used documentary film and educational compendium, Worlds Apart. His work explores root causes of disparities, and promotes culturally competent healthcare through education and quality improvement.